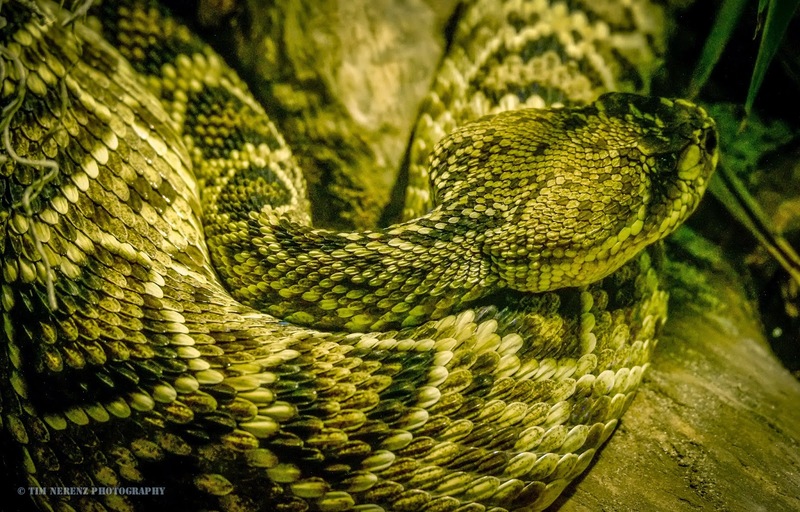 While I don't like rattlesnakes any more than the next guy, I have to admit that the patterns of their scales are beautiful and fascinating - through the glass of a terrarium, that is. I would not have been within 25' of him ... errr ... 50'. I have to agree with you Tim. Amazing patterns. Patterns are nice... but um better in your yard than in mine! ack!